After an evening of listening to presentations at SFU until 9 p.m., I had two choices: go home or have sushi. Contrary to what you might expect, I was initially inclined to go home because I had a significant amount of work to complete and a sushi adventure planned shortly after. Plus, since Coquitlam is dead as a doornail at night, it was unlikely for me to find a sushi restaurant that was still open. I went for a short stroll while making my transfer at Lougheed Station to release some energy, when I inadvertently passed by Best Sushi N Kitchen. A restaurant that serves the best sushi was still open at this time? To hell with priorities and self-control! 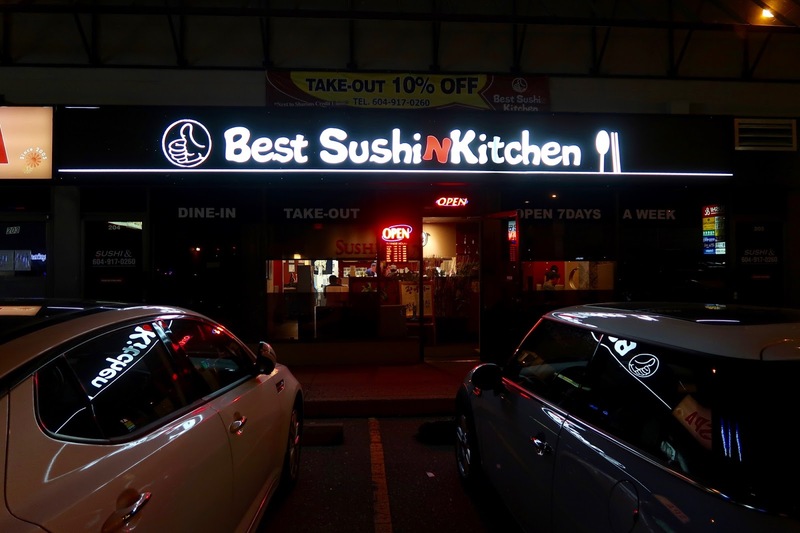 Best Sushi N Kitchen is a Korean-operated Japanese restaurant that sits at a location occupied by many different Japanese eateries in the past. A long while back, it was Fujiya, and then, it was Sushi Elephant, then Sushi &, then Sushi & Ramen, and now, Best Sushi N Kitchen. Every time I visit this place, I would be reminded of the old days when I was a child and my parents would take me to Fujiya to have frozen pre-made sushi straight from the display coolers. 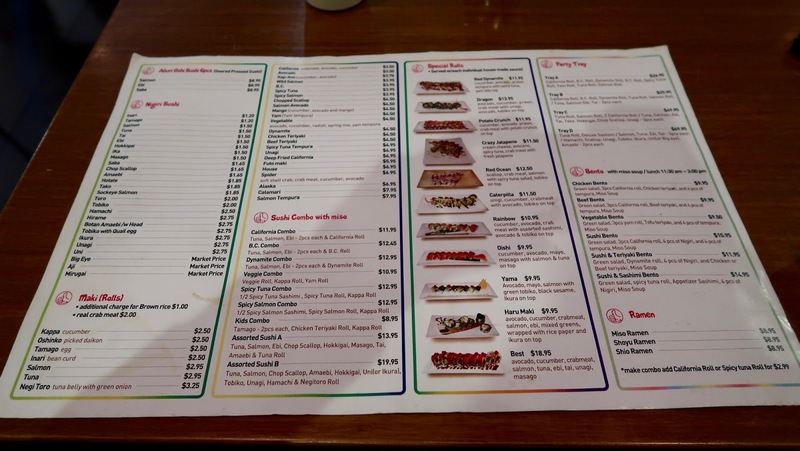 Back then, we could not afford to eat at any decent Japanese restaurant, and since I had no clue that better sushi existed, I remembered being ecstatic every time my parents mentioned that we were going to Fujiya. Those were the days when Taisho was my heaven. 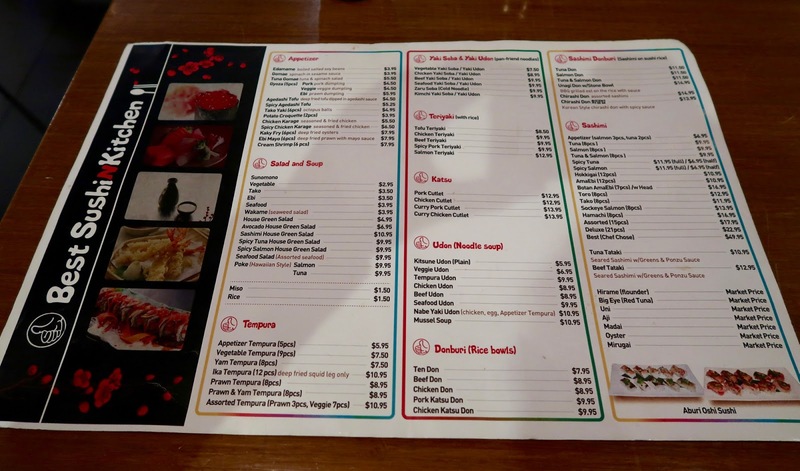 At Best Sushi N Kitchen, there are two menus: one with Japanese food and one with Korean food. 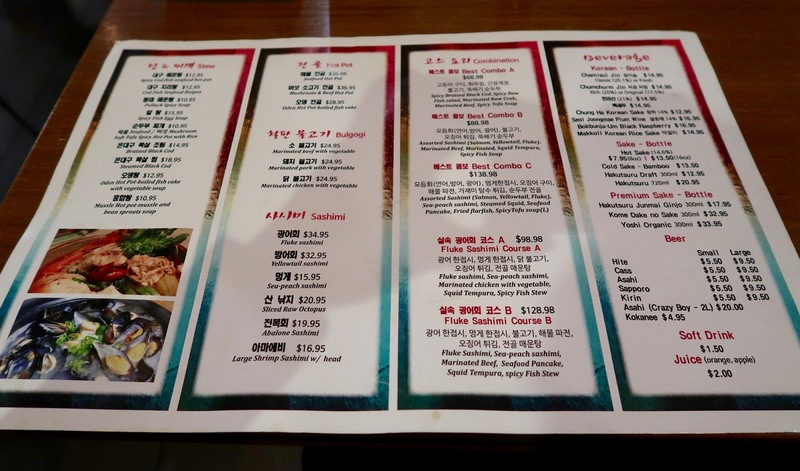 It almost feels like you are in a casual Korean restaurant, as the Korean menu is quite full-fledged and loud Korean pop music spews out of the speakers. The dining area is large and spacious, and even though it was getting late, I could sense an energetic vibe throughout the restaurant, which was probably the intended effect of the music. 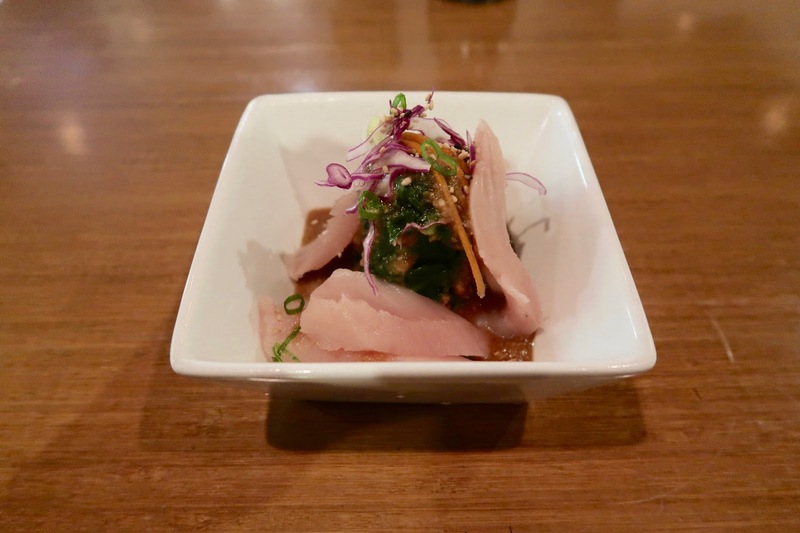 The Tuna Gomae featured easy-to-chew spinach and fresh, soft tuna. There were copious amounts of sesame sauce to give the gomae a thorough sweet flavour. I also liked how they added some purple cabbage on top of the salad for visual appeal. 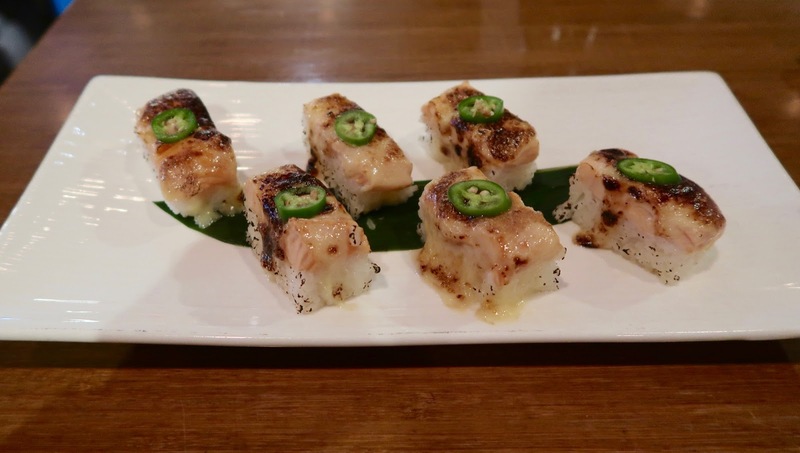 The Aburi Salmon Oshi came with six pieces for just $8.95! As I took a bite into each piece, a pleasant warm, creamy, and slightly smoky flavour filled my mouth, and my expectations were surpassed. I also enjoyed the formation of the rice, which was not too tightly packed. The rice felt just a bit dry in the middle, and perhaps a thin layer of salmon in the middle would help (though this would likely push the price of the oshi upward). The presentation could also be worked on, as the sushi looked like it was about to wither and melt in the heat of the hot sun. The Red Dynamite Roll consisted of cucumber, avocado, prawn tempura, spicy tuna, and yam bits. There was an interesting attempt here to use cucumber bits to add crunch to the roll. I liked the plump prawns and the melty spicy tuna. However, the sushi rice was noticeably weak in flavour, and the roll was quite heavy on the rice. Since I frequently find myself making transfers at Lougheed Station, I decided to turn this adventure into a Sushi-a-thon! 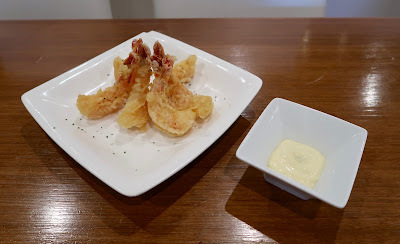 On my second visit, I started off with the Ebi Mayo, which came with six juicy prawns. However, despite the sprinkle of herbs, the batter was not especially flavourful. They also paired the Ebi Mayo with dill tartar sauce, which is something I had never seen or experienced before. I didn't find the dill tartar sauce to be a good complement for the Ebi Mayo, as it was a touch too sour and created a dissonance with the sweeter flavour of the prawns. Moving onto the nigiri, the flavour of the rice was once again on the weaker side. The hotate (scallop) was juicy with a jelly-like texture, but it was not very sweet. 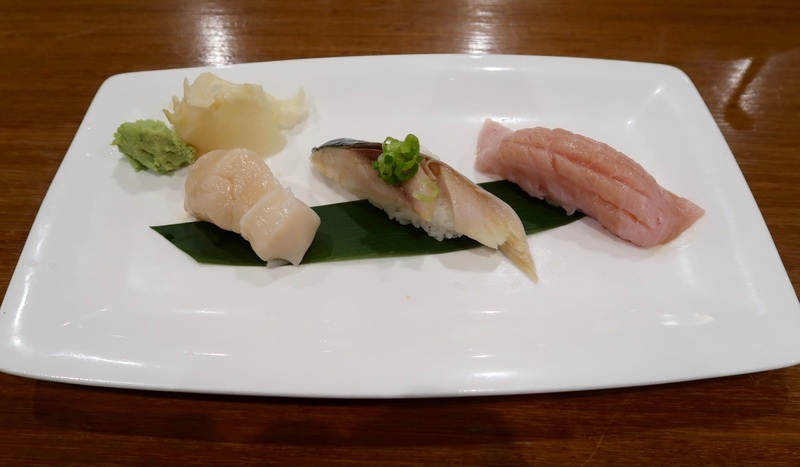 The saba (mackerel) was neither soft nor tough, and it was slightly more salty than necessary. The toro (tuna belly) was leagues above the other nigiri. The Toro Nigiri was tastefully fresh, juicy, and plump. It came in a generous serving, and having the rich burst of flavour from the toro melt into my mouth is an experience I'd happily repeat. Knowing that I had a filler coming up, I toned it down when selecting my special roll. 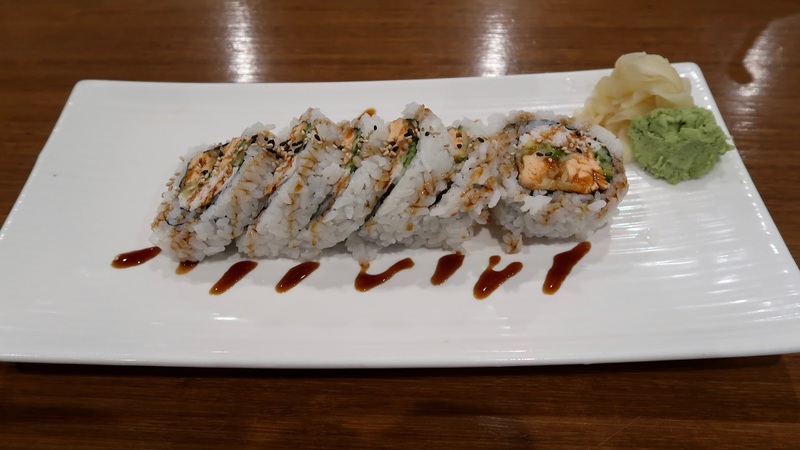 With this roll, I could taste the crispiness the tempura and the freshness of the cooked salmon. The sweetness of the crab meat also complemented the salmon well. As a nice touch, they sprinkled some sesame seeds on top to give the roll a nutty side. Feeling adventurous (as I usually am), I went to try the Beef Teriyaki with Rice in Stone Bowl from the Korean menu. Nothing could have prepared me for how big this turned out to be. I could have just ordered this one dish and called it a meal! The beef is minced very finely and has a soft, flaky texture. Flavour-wise, the sesame seeds took the spotlight. 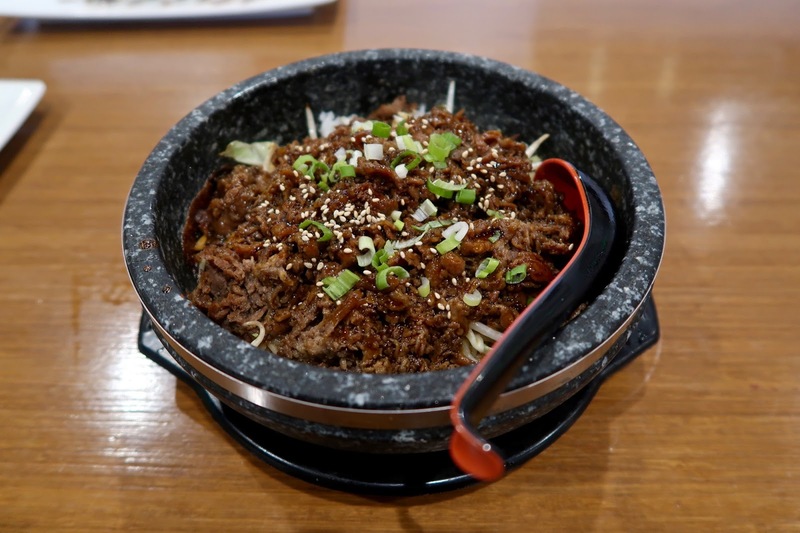 This dish was aptly named because it did taste much more like beef teriyaki than bulgogi beef. Since it took me so long to finish the stone bowl (it also took a long time for the stone bowl to cool to a temperature at which I could eat it), I had to face the wrath of the evil, crumbly, dried-up rice near the edges of the stone bowl. I understand that many people order stone bowls just to have this crumbly rice, but personally, it is a pet peeve of mine. I remembered that at other Korean restaurants I've been to, they would remedy this by pouring barley tea into the stone bowl, so feeling like a smart-aleck, I held up my glass of tea confidently and dumped it right into my stone bowl. I forgot that what I had in my hand was not barley tea and ended up accidentally concocting one of the most disgusting "beverages" I have ever had. I had done it again and accomplished my mission of getting strange looks from the waitresses. I received decent service during both visits, and the food lived up to my expectations considering the price. 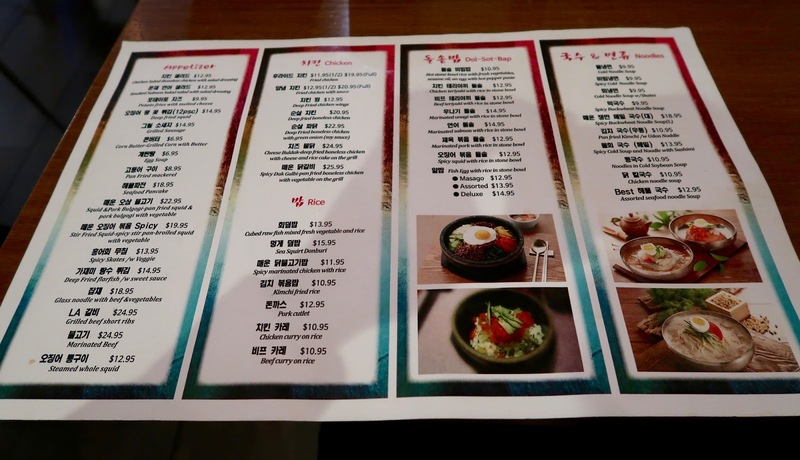 If you are craving Japanese food and your friends want Korean food (a very common occurrence for me), then this is a place worth considering. One other restaurant that does something similar is Moa Box, which is a much smaller restaurant located on the other side of Coquitlam. Perhaps I will check that place out someday! No Zomato page has been created for this restaurant yet. Click here for the Yelp page.